The Gate Theatre Dublin’s production of Watt, currently residing in the Barbican’s Pit Theatre, is an intimate affair that will certainly draw interest from Beckett’s usual fan-base but one that also reaches out to those who may find the aura of austerity that surrounds Nobel-winning writer a little forbidding. 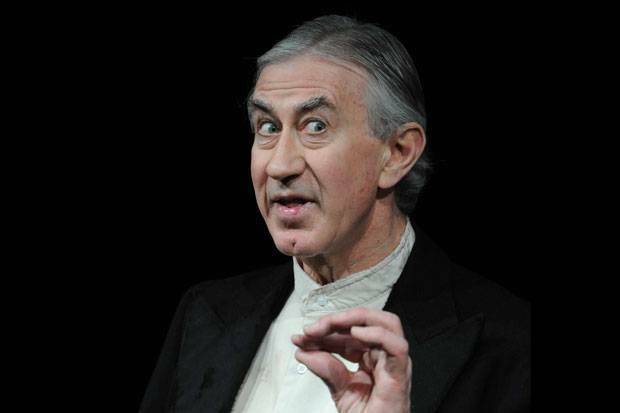 Collated from selected extracts from Beckett’s original novel, Barry McGovern has skilfully reassembled a pathway through the deliberately tangled narration so that the monologue (free-flowing, inconsequential and seemingly aimless as it may be) lets us gaze upon the curious Watt. In doing so McGovern has made accessible Beckett’s wonderful evocative use of language and shone a light on the absurdist comedy that so often counterpoints the undercurrent of melancholia. Nowhere is this better seen than in McGovern’s description of Watt’s amorous dealings with Mrs Gorman, one of a number of occasions where Beckett’s faculty with language allows a third-person narrated monologue to bring the scene into life as easily any Michael Frayn farce. It is the preciseness of Beckett’s language that never fails to impress. Every word has its place and no other place, and no other order of words, would seem to suffice. His description of Watt kissing ‘Mrs Gorman on or about the mouth’ tells us more about the man Watt is than the most perfect casting could achieve. McGovern works hard to bring a sense of the visual absurdity that is clearly there in the original text. His physical re-enactment of Watt’s peculiar walk brings to life a description whose vitality must have been bursting off the page. It is a comic’s dream and, by virtue of being the narrator, McGovern has license to fully exaggerate Watt’s absurdity. It is a splendid scene and a necessary injection of energy in a show that always run the risk of being swallowed whole by the dense richness of the lan guage. This problem is evaded throughout by making full use of changes of pace to keep the audience engaged. The description of the mixed choir is augmented by the sound of it. McGovern is such a skilful storyteller that the audience listen’s with him through two full choruses – the comic tension increasing each time chorus disappears further off-key. 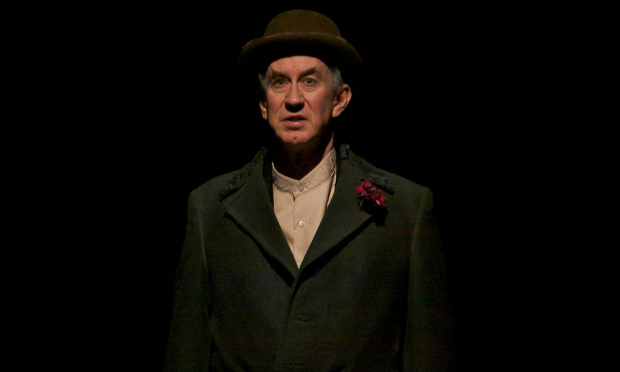 McGovern’s lugubrious tones emerging from the unnamed narrator, a man appearing to be straining to retain the last vestiges of a more grand life cannot help but remind of Beckett’s most famous creations, Vladimir and Estragon, and the play retains much of the vaudevillian that is so closely associated with Waiting for Godot. Beckett can be the most intense of authors and some of his monologues, no matter how skilful, are to be endured as much as enjoyed. ‘Not I’, a gruelling 17-minute work that was filmed with Julianne Moore as part of a Channel 4 season dedicated to Beckett, may be brilliant but it cannot be described as an easy experience. The language, powerful as it may be, is fired staccato with the audience picking up fragments, jumbled narratives, falling into one another until it finally emerges into a semblance of clarity. The joy of this production of Watt is that the 50 minute show fairly races by and, in so doing, delivers a Beckett whose gift for language retains an accessibility that can be lost when exposed to the full range of modernist tricks that were employed to make him such an influential, if unforgiving , figure of 20th Century writing.